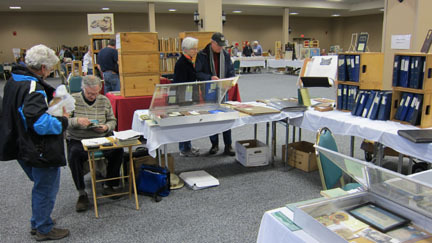 The VABA 2012 Spring Book Fair ~ In Words and Pictures! 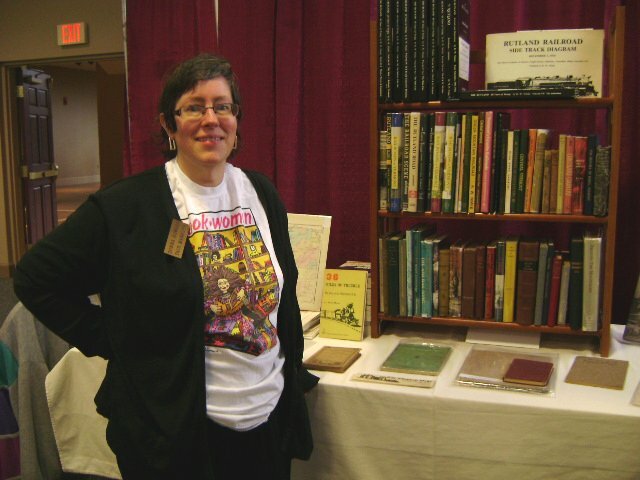 Donna Howard of The Eloquent Page, our intrepid book fair organizer! 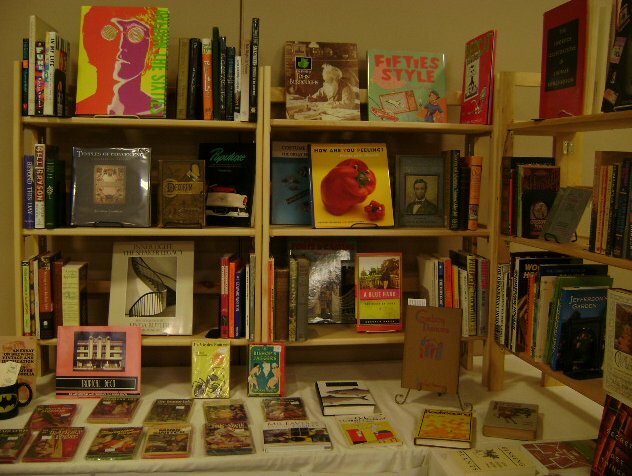 And please plan to join is for our next fair on 12 August 2012 in Brattleboro – click here for more information. 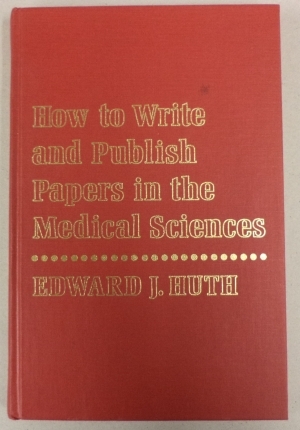 “Here’s a helpful travel tip. When traveling in the pre-dawn hours to a destination you are unfamiliar with in a vehicle you are unsure of, it’s helpful to avoid spooky mountain roads where your cellphone doesn’t get reception. 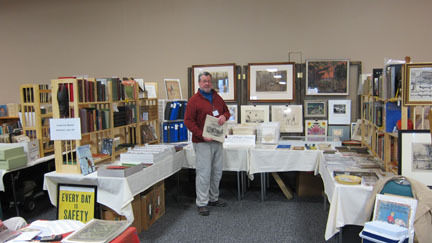 I foolishly set off at 4 am from Saratoga County, New York to exhibit my wares at the Vermont Book and Ephemera Fair in Burlington, hoping to arrive early for the setup. 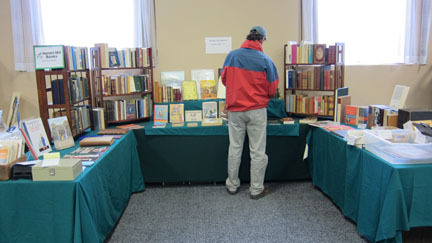 The plan was to arrange my book booth and then stroll around leisurely with a strong cup of coffee to see what my colleagues were selling before the official opening at 10 am. 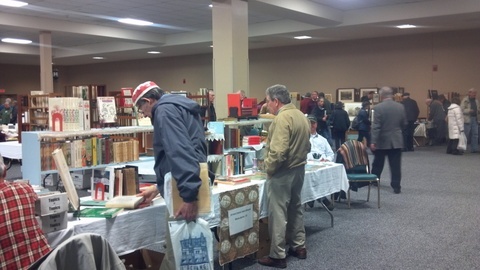 “A steady stream of customers came through The Book Shed booth at the VABA Spring Book Fair. 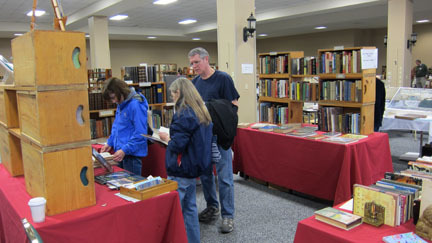 We enjoyed a good amount of sales but the greatest pleasure of the day was the opportunity to talk books with fairgoers and see the material brought by the other vendors. 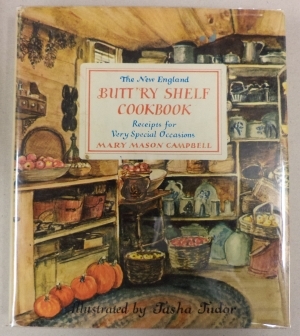 My personal highlight of the day was finding a new addition for my London books collection at the Craftsbury Antiquarian Books booth hosted by Tom Twetten. 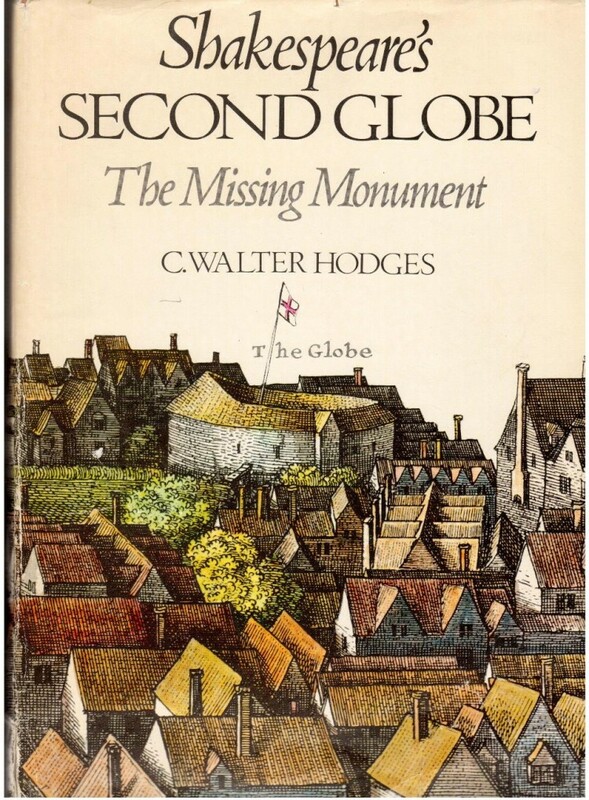 Shakespeare’s Second Globe: A Missing Monument by C. Walter Hodges was among Tom’s offerings and at a very attractive price. 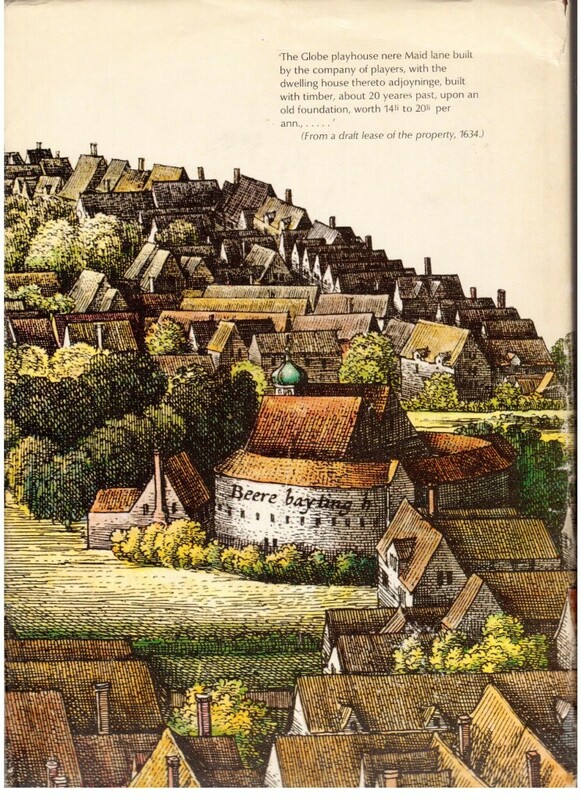 Hodges, an illustrator, made the case for rebuilding the Globe with this 1973 illustrated work. A close analysis of Wenceslaus Hollar’s magnificent Long View of 17th century London was used to demonstrate the feasibility of a rebuilt Globe. As a result of his and other’s efforts 21st century visitors to the great city can now see Shakespeare’s plays in a replica of his famous theater. 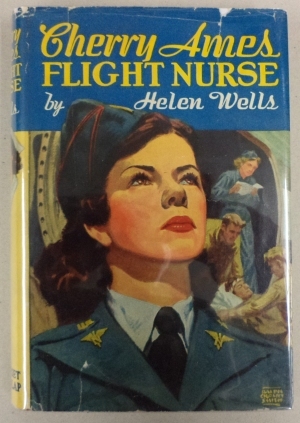 Hodges’ book, which was not published in the US, was a great find and a great addition to any London lover’s collection. Thanks Tom for bringing it along. 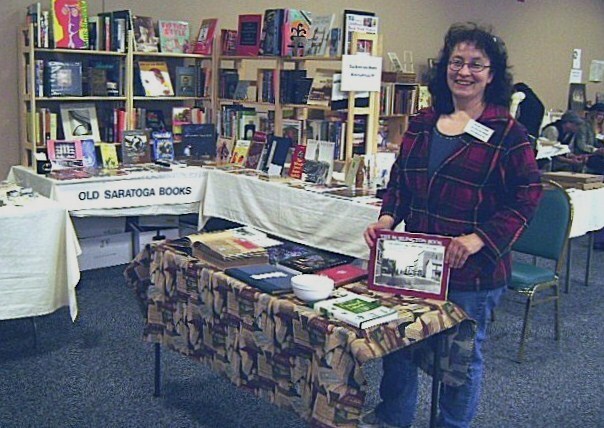 I’m looking forward to the August 12th VABA Summer Fair in Brattleboro for another opportunity to spend the day amongst books and book lovers. Who knows what treasure will turn up there? 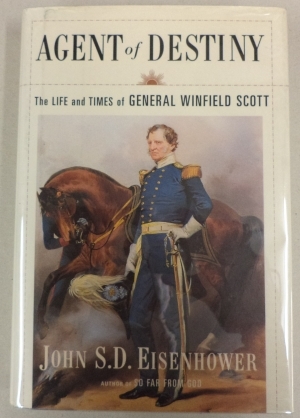 mistake on the above image of the dust jacket! 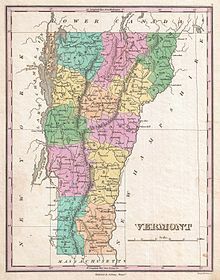 If anyone would like to share their thoughts about the day, please comment!